Case-Mate and Pong Research have collaborated to make an important case for the iPhone 4 which reduces the radiation coming from your phone and entering your brain. How it works is by absorbing the harmful radiation (not all the radiation) and redirecting it away from your head. The Bounce is tested and SAR certified to reduce radiation by at least 60%. You should think about using the Bounce case if you talk a lot on you phone that's for sure. 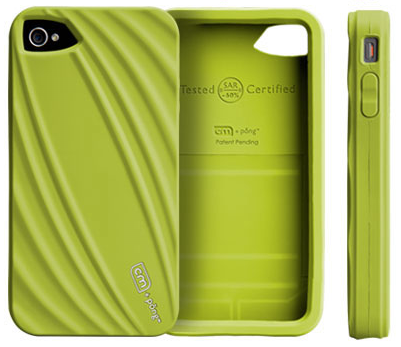 Case-Mate will soon have the Bounce case available for the BlackBerry 9630, 9650, 8520 and for the 9300. Bounce for the iPhone 4 is available in three colors for $49.99. See the diagram below on how all this works.